"Imagine a world in which medicine was oriented toward healing rather than disease, where doctors believed in the natural healing capacity of human beings and emphasized prevention above treatment. In such a world doctors and patients would be partners working toward the same ends." Probably the most recognized medical doctor teaching about natural healing methods and the mind-body-spirit connection today, Dr. Weil is a Harvard Medical School graduate. Under his leadership, the Program in Integrative Medicine at the University of Arizona was created as a two-year fellowship in 1997. Weil is called “the guru of alternative medicine" on one of the covers of his books. On his website (www.drweil.com), which records over two and a half million hits a month, he is called "America's most trusted medical expert." 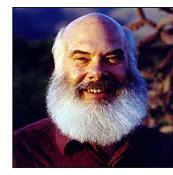 A recent cover of Time Magazine announced that "medicine man Dr. Andrew Weil has made New Age remedies popular." In the accompanying story, Time tells us that "millions of Americans swear by his medical advice.” He is undoubtedly one of the most important and articulate leaders in the field of health and healing and a pioneer in transforming the current medical view toward one more open to whole person healing. A longtime Arizona resident, Weil had been seeing patients for several decades, using a natural approach and specializing in ethno-botany and the therapeutic use of herbs. When an old classmate from Harvard was brought in to head the University Medical School, Dr. Weil found a sympathetic ear and a discussion was begun to do no less than to “change the face of medicine.” He recognized that changing medical education was at the very heart of healthcare renewal in this country. The original concept was a residency program in Integrative Medicine, however it was ultimately decided that it would be difficult to establish a residency in a field that didn’t officially exist yet. Therefore a two year fellowship in Integrative Medicine was proposed and adopted in 1997. The first four fellows were accepted into the program and only four have been accepted each subsequent year. These fellows are all board-certified physicians who have already excelled in conventional medicine and are now committed to transforming healthcare by integrating the very best from conventional, complementary and alternative medicine models. Fellows learn from many modalities in integrative medicine and prepare to become leaders and advocates for change when they return to their own communities. This residential fellowship is the only program of its kind in the world and it is hoped it will be used as a model in similar academic settings. After several years of residential fellowships and the steadily increasing consumer demand for a new generation of physicians trained in both conventional and complementary treatment methods, the natural progression was made to offering an additional “Associate Fellowship.” Utilizing a distance learning module of 1000 hours of instruction over two years, together with three separate residential weeks in Arizona, this online curriculum mirrors that of the residential fellows. There are approximately 120 graduates (including both residential and associate fellows) currently practicing throughout the world, including most U.S. states, Japan, Puerto Rico, Central America, the Virgin Islands and the United Arab Emirates. Graduating fellows have established new integrative medicine programs at such respected institutions as the University of Wisconsin, University of Michigan, Maine Medical Center, Beth Israel Medical Center and Evanston Northwestern Healthcare. Other medical students and residents can choose to do a one-month rotation in Integrative Medicine as well. In this way they will at least be introduced to most of the concepts and practices within the field. A state of the art Integrative Medicine Clinic was soon begun, both to train the fellows and to create a visionary model for the doctor’s office of the future. Because of the perceived “legitimacy” of this academically accredited model, growing demand soon significantly outstripped available appointment time and the list of patients waiting to be seen numbered over 1000! This waiting time has now been reduced to 10-12 weeks. Of note is the fact that no insurance other than Medicare is accepted and most patients are self-pay. Only fifteen or so new patients are seen each week, as the decision was made early on to maintain the high quality of care over increasing the patient numbers. Costs for visits range from $150 to $300. Since the Integrative Medicine Clinic is housed within the Department of Internal Medicine at the University, a strong sense of credibility is conveyed. And it seems to be working. Dr. Horwitz is a recent graduate of the program and a conventionally trained internist and immunologist. He is also newly certified in clinical hypnosis, and he discussed what he called the “art of integrative medicine” with both candor and enthusiasm. Although many complementary modalities are available, he considers mind/body medicine to be the “cornerstone” of the program because of its importance in healing—this was in fact his special focus as he went through the program. The art of integrative medicine refers to what Horwitz called the “therapeutic marriage brokering” of intuitively matching patients with the modalities that both appeal to and work best for each individual. Horwitz emphasized how vital he feels psychotherapy is in helping cancer patients heal on several levels. He indicated that this is almost always included in the treatment plans he creates for these patients. There are instances however, where an energy medicine technique or bodywork such as cranio-sacral therapy may be used initially. He described how appalled he was at the number of cancer patients who are routinely prescribed an anti-depressant by their physicians without any suggestion of concurrent psychotherapeutic support. Horwitz also discussed the surprising comments of patients who described their cancer as having been a great teacher, or even one of the best things that had ever happened to them, empowering them to use the experience of cancer as a change agent in their lives. This has affected him deeply. The Clinic has been structured to function in a consulting fashion only, and not to provide primary care. An initial appointment lasts an hour and a half, a complete history is taken and the patient’s “story” is heard. Horwitz commented that “people love to tell their stories….and people are much more complex than we ever thought. It’s so important to understand who they are so we can tailor their treatments ….” Although the human quality of the bond between doctor and patient may have been lost to technology and time management in mainstream medicine, the Clinic believes that nothing can replace the importance of the therapeutic relationship. Following a thorough review of medical records and a discussion of each patient at the weekly patient conference session (see the following section about this), a detailed treatment plan, including short and long term recommendations, is created and given to the patient at the follow up visit. Subsequent follow up visits may be scheduled at several month intervals as well. Approximately 60% of the patients seen at the clinic are from the immediate area. The other 40% travel from other states and Dr. Horwitz has had patients travel from as far away as Alaska. A highly unusual part of the clinic philosophy is the presentation and discussion of each patient’s case at a weekly conference, attended by thirty plus well-screened healthcare professionals. Attendees generally include Dr. Weil, program instructors and fellows, allopathic doctors, medical students and residents, energy medicine practitioners, osteopaths, nutritionists, botanical medicine practitioners, exercise physiologists, acupuncturists, several psychologists and even a shaman or two. The weekly mix varies. This structure provides not only a powerful teaching environment for the program fellows, but also some unique perspectives and potential treatment options for each patient. Cancer is considered in a complementary fashion at the Clinic. Chemotherapy or other conventional treatments are generally assumed to be appropriate and it is never suggested that patients forsake them. Complementary therapies recommended include psychotherapy and mind body medicine, energy work, bodywork, nutrition (an anti-inflammatory diet is generally recommended), and whatever other modalities are deemed best to support an individual patient. Due to the controversial nature of using high potency anti-oxidant supplements during chemotherapy, the clinic generally does not recommend this. Instead, they suggest the use of whole foods, including 8-10 servings of fruits and vegetables daily (using juicing if necessary). An anti-inflammatory diet includes the elimination of fried foods and trans-fatty acids, the use of fish oil and other omega 3 oils, and the elimination of simple carbohydrates such as sugar and other high-glycemic foods (see an explanation at www.glycemicindex.com to stabilize insulin levels in the body. Dr. Horwitz also noted that many cancer patients choose not to tell their personal physicians about visiting the Integrative Medicine Clinic, but implement the treatment recommendations on their own. Patients feel their physicians would be unsympathetic or even angry about their decision to supplement their conventional care with alternative treatments. But this has certainly not deterred them from seeking new options and choosing to be treated as a “whole” person at the Integrative Medicine Clinic.